Exactly as described and it arrived early! 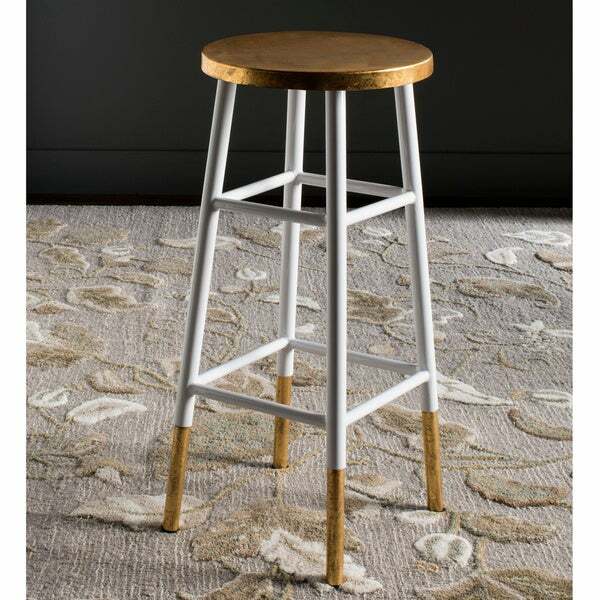 A colorful addition to a kitchen island or family room bar, this timeless barstool is spruced up with a combination of white lacquer and gold trim on leg caps and seat. This sturdy classic is crafted of iron with foot rest and cross bars for support.